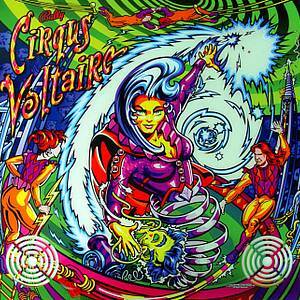 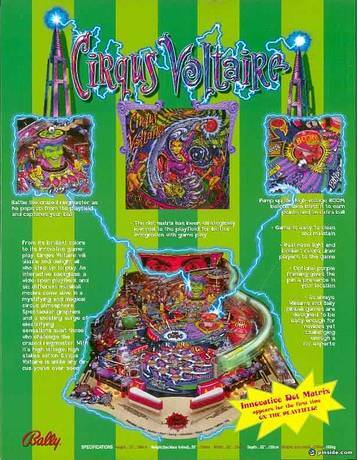 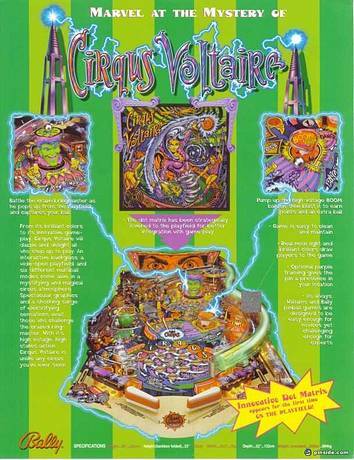 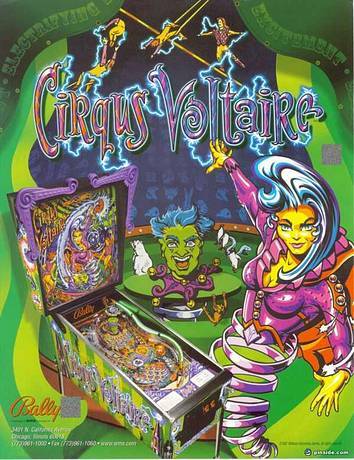 Cirqus Voltaire is a 1997 pinball game, designed by John Popadiuk and released by Midway Games (under the Bally label). 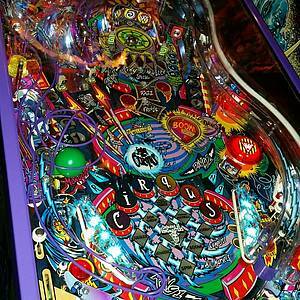 The theme involves the player performing many different marvels in order to join the circus. 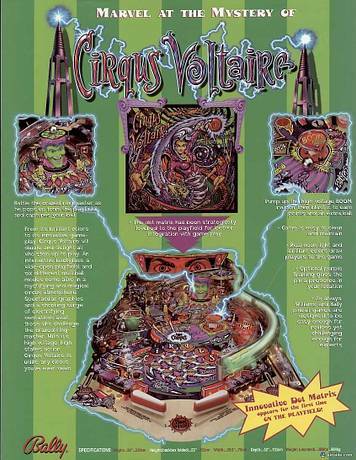 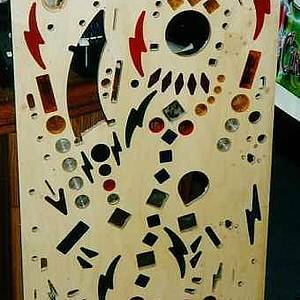 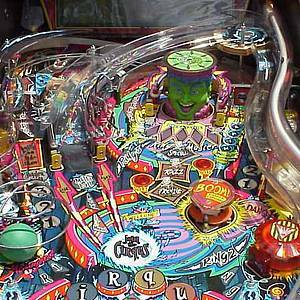 Some of the features include a neon light running along the right-hand ramp, a pop bumper that rises up from the middle of the playfield at certain times, and a mini-playfield at the top of the center ramp with a magnet to catch the ball for locking. 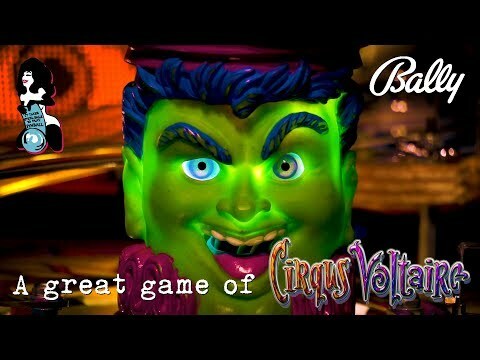 The most notable feature is the Ringmaster, a head that rises from the playfield at certain times and makes jokes against the player. 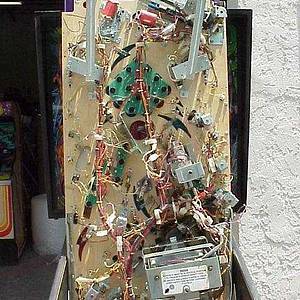 "You'd be cranky too, if you had a spring for a neck!" 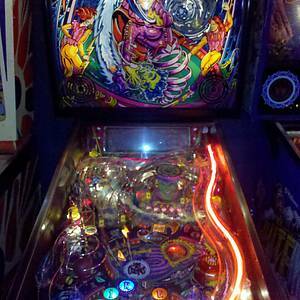 This game has received 614 approved Pinsider ratings and currently has a rating of 8.390 out of 10. 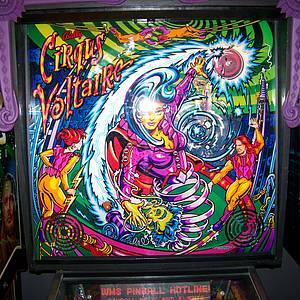 This game ranks #23 in the Pinside Pinball Top 100. 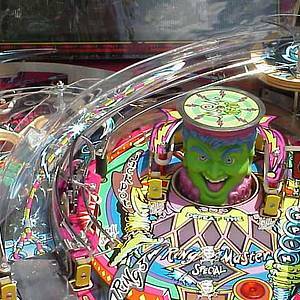 There are 313 rating comments for this game. 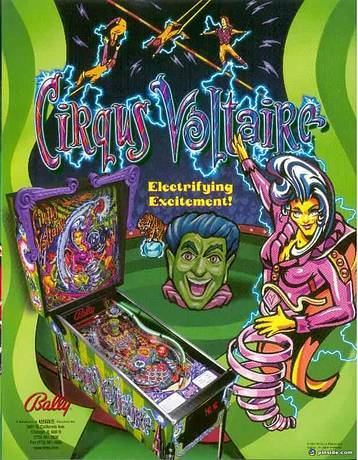 617 Pinsiders have this game in their collections. 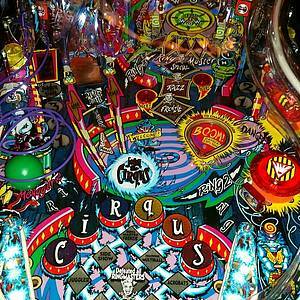 713 Pinsiders have this game on their wishlist. 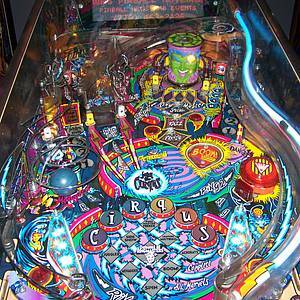 77 public locations known where you can play this machine. 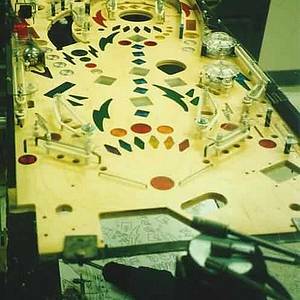 Southern Coin-Op presents Pinball in Pelham 4, May 10th-11th 2019.
show off your powder coated machines here!